Now that we’ve reviewed all of the Exotic weapons that are currently accessible in Destiny, we’re going to focus on Exotic armor. The Exotic armor reviews will focus on class builds to maximize their use. For more subclass guides, click here. This article will cover each of Destiny’s Exotic Titan helmets. Each of these Exotic helmets can be acquired via Xûr or randomly in PvP/PvE. An Insurmountable Skullfort’s unique ability is awesome for Striker Titans that love to punch things (and who doesn’t love to punch?). Coupling this helm with Storm Fist’s Overload or Amplify can help out even more for a reliable and consistent stream of health regeneration. An Insurmountable Skullfort has Discipline and Impact Induction, which will replenish grenade energy just when you damage an enemy with a melee, so that obviously works well together; you’ll be able to use your grenades and melee a lot. Ultimately this helmet will serve you well in both PvE and PvP. As for cosmetics, it’s got a hypnotic holographic effect as the circular lights ripple outward, one of the coolest looking helmets. Invigoration – Reduces melee cooldown each time you pick up an Orb of Light. Recklessness – Provides Death from Above and Headstrong for Fist of Havoc. Helm of Inmost Light is probably the best Striker Titan Exotic helmet. Its unique perk will grant you the Death from Above and Headstrong talents for Fist of Havoc, allowing you to customize your talent loadout even more, and making your Super that much more powerful. With this helm, you can spec for Transfusion since you’re not getting any health benefits directly from Helm of Inmost Light‘s perks. The other perks and stats are really built around your melee ability. Picking up an Orb will decrease your melee cooldown, and you also attack faster with melee abilities. The helm also gives you Strength, further reducing the cooldown time of your melee ability. Invigoration, while arguably better than Infusion, is still situational. However, everything else on the Helm of Inmost Light is enough to warrant any Striker wearing this helm into battle. The cosmetic effects and perks make this an appealing choice for a Striker. Coming with the House of Wolves, Eternal Warrior has similar perks, but doesn’t appear to be as good. Starless Night – Your Ward of Dawn blinds enemies who enter it. Helm of Saint-14 is what a PvE Defender Titan’s dreams about. Starless Night will blind any enemy (aside from bosses) that enter the Ward of Dawn bubble. Being able to blind enemies is incredibly useful in PvE and even PvP, and adds a new depth to the Ward of Dawn. When enemies enter the Ward of Dawn, they’ll be unable to consciously react. Being overwhelmed by any number of enemies is nothing this helmet can’t handle; it’s a great way to get easy punches on powerful enemies which you wouldn’t normally engage up close. The bubble can now be used in a more aggressive manner, completely blocking off choke points. This helm will also increase your Intellect. This is a huge help, since Inverse Shadow will help with that too in PvE, your bubble can more often become a part of your strategy. As with the Helm of Inmost Light, the increase to melee attack speed will allow you to melee faster, allowing you to defend your bubble fortress better. With bolts, a crest and big metal plates, Helm of Saint-14 looks like a futuristic knight, and the luminous purple glow is also a very nice touch. Quintessence Transfer – Replenish Super energy when you kill an enemy with a grenade. Bathed in Light – Blessing of Light and Weapons of Light last longer. The Glasshouse is designed for Defender Titans who are adamant about increasing the effectiveness of Blessing and Weapons of Light. Bathed in Light will extend the duration of either of those talents by 5 seconds, allowing it to stay active for a total of 15 seconds. Blessing of Light grants you and any allies who pass through the shield a bonus shield that stacks on top of your existing health. This shield normally has 65 health (boosted to 95 with the Illumination talent). If the shield is damaged or destroyed, you can simply step back into your Ward to regenerate it. It’s helpful in situations where you need some extra muscle to break an enemy position. Weapons of Light is a powerful damage bonus, granting you and any friendly Guardians who pass through it a 25% damage bonus (35% with the Illumination talent). Weapons of Light gives Ward of Dawn some offensive bite and can result in more sustained damage being dealt over the lifespan of Ward of Dawn. Blessing/Weapons of Light are obviously best used when your teammates can take advantage of it too. Similar to the Helm of Saint-14, this helm also has Rain Blows, an excellent perk for both PvP and PvE. 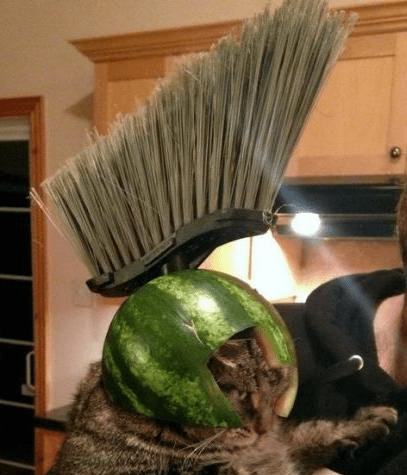 This helm will give you Intellect, which meshes well with Quintessence Transfer, increasing your Super recharge speed when you land grenade kills. 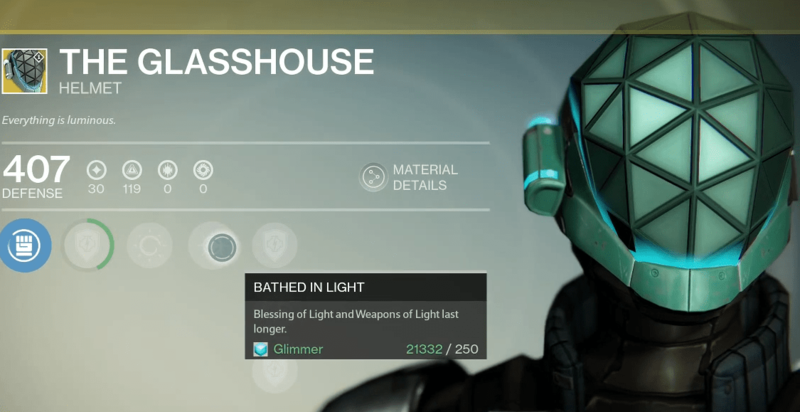 Both the Helm of Saint-14 and The Glasshouse are worthy Exotics, but The Glasshouse is better used in situations where your team will benefit from Bathed in Light, while if you’re going to be overwhelmed like in Crota’s End, the Helm of Saint-14 might be a better choice.